Endeavor Physical Therapy staff has more than 45 years of cumulative experience. Additionally, each of our providers has specialty training, and certifications above and beyond the standard licenses. When you visit our physical therapy center in Austin, Texas, you can be confident you are receiving physical therapy, hand therapy, or personal training from qualified experts whose goal is to maximize your recovery and get you back to doing the things that you love to do. At Endeavor Physical Therapy, our friendly, experienced staff provides personal and knowledgeable care for all of our patients. You can reach us at our Main office at (512) 284-7192. Our professional staff is ready to set your appointments and provide you with answers. To request an appointment, please call our office or use our online appointment request form. Enrique, the founder of Endeavor Physical Therapy, has over 20 years of experience as an occupational therapist, specializing in hand and upper extremity rehabilitation and is Certified Hand Therapist. He received his degree in occupational therapy from Texas Woman's University in Denton, and later added an MBA from St. Edwards University. Enrique has spoken at the state level and national level regarding billing and coding, business management, and complex upper extremity injuries. Prior to becoming a therapist, Enrique served in the U.S. Army Rangers in the 1st Ranger Battalion. Enrique is fluent in Spanish. Emily is co-owner and a Certified Hand Therapist, having over 20 years of experience with treating the upper extremity. She received her Bachelor’s degree in Health Sciences from Texas A&M in 1993, and her degree in Occupational Therapy from the University of Texas Medical Branch at Galveston in 1995. She has been a certified hand therapist since 2004. She serves on the Board of the Texas Society for Hand Therapists. Emily is married with three children. In her free time, she enjoys running (especially trail running), yoga, reading and hanging out with her family. Christy received her Master of Occupational Therapy and Bachelor of Arts in Spanish from Rockhurst University. She became a Certified Hand Therapist in 2009. After her Master's degree, she spent a year in Ecuador volunteering in hospitals and clinics and speaks Spanish. She worked for 10 years in Chicago with upper extremity surgeons and treated the Chicago Bulls, Blackhawks and the White Sox. Christy has 15 years of experience in wound care, splinting, and treating a variety of repetitive use injuries and pre- and post-operative diagnoses. When she is not treating upper extremity injuries, Christy enjoys running, yoga, Pilates, swimming, rowing, and learning to play the guitar. Emily’s passion for hand therapy began early on. After assisting a hand therapist during an undergraduate internship, she was accepted into the top-rated Washington University School of Medicine graduate program, where her passion continued to grow. Emily has worked in a variety of outpatient clinic settings with a focus in return to work, ergonomics and upper extremity rehabilitation. She has helped manage private clinics and worked closely with many local physicians and board-certified hand surgeons. Emily also worked for a large health system serving as the Hand Therapy Clinical Advancement Program lead. She offers an expansive knowledge of upper extremity rehabilitation, including education, conservative management, post-operative care and splint/orthosis fabrication for a vast list of conditions. The freedom of working in private practice has influenced her caring approach to patient experience, providing patients with flexibility and economy along with personalized and highly skilled care. Emily has served on the board and presented for local and national hand therapy organizations. Currently, she is a member of ASHT’s education division, an ASHT Board Intern and recently served on ASSH’s Touching Hands Project in Nepal. During her free time Emily enjoys visiting with family and friends, traveling, cooking, exercising and horseback riding in the Texas Hill Country. 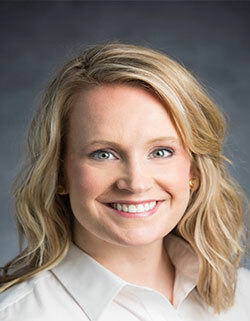 Whitney received her Master of Occupational Therapy degree from The University of Mississippi Medical Center in 2010. Over the last 9 years, Whitney’s professional goals have remained constant as she has dedicated her practice experience towards comprehensive upper extremity rehabilitation. She completed the requirements to become a Certified Hand Therapist in 2016. Whitney and her family recently relocated to the Austin area and in her free time she enjoys spending time with husband and two young boys. As a Michigan native, Amy received her undergraduate degree in Business Administration from Central Michigan University in 2007. After moving to Texas in 2010, she chose to pursue physical therapy while working as a PT and orthopedic technician. Amy attended the University of St. Augustine for Health Sciences in Austin, TX where she attained her Doctorate of Physical therapy degree in 2018. Throughout her education, she gained experience in various settings including orthopedic, acute care, geriatric, and neuro which has assisted in her treatment of musculoskeletal and neurological conditions. Amy and her Fiancé reside in Austin with their two dogs. They are active members of their church, enjoy traveling, hiking, attending concerts, and the numerous Austin eateries. Barry has over 10 years of experience and works at our South Austin location. He graduated from Texas State University. Prior to his professional career as a PT, Barry was a U.S. Navy Corpsman for five years working with the U.S. Marines. He has a background in Chemistry. Cristi has evolved into Austin’s “Holistic” Physical Therapist over the last 13 years, and loves the title. Cristi is passionate about healing through conscious exercise and living an anti-inflammatory lifestyle. Cristi takes pride in providing high quality, one-on-one care. She listens to the patient’s whole story because her mission is to get to the patient’s root cause of their pain. Cristi specializes in dry needling, a highly sought after manual technique acquired by skilled Physical Therapists. This special treatment uses thin filiform needles (acupuncture needles) to reduce muscle spasms, increase joint mobility, and improved athletic performance. Cristi loves using this technique, as it is an alternative to pain medication. Cristi has a Bachelor’s of Health and Science Degree from Baylor University and a Master of Physical Therapy Degree from Texas State University. 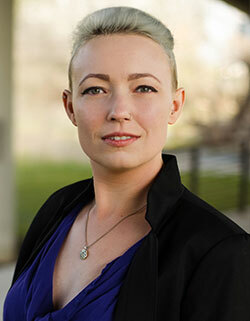 As a licensed Physical Therapist, she has various continuing education certifications in Dry Needling, Exercise Correction, Reformer Pilates, Manual Therapy, YogaFit, Qigong, and Kinesiotaping techniques. She has also been part of the CHEK (Corrective Holistic Exercise Kinesiology) Institute as a Holistic Lifestyle Coach for over 5 years. Chris has more than 27 years’ experience in outpatient physical therapy. She received her Bachelor of Science in Physical Therapy from Texas Woman’s University. Her treatment philosophy is one of viewing the body as a whole, integrative system. Functional medicine theories are also a foundation of her care. Chris’s treatment skill set incorporates manual therapy, advanced myofascial release, neuromuscular therapy, trigger point therapy, therapeutic exercise, Original Strength and osteopathic -techniques including strain/counter strain and cranial sacral therapy. 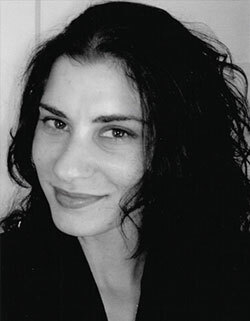 She has certifications in Personal Training, Fascial Stretch Therapy, and kinesiotaping. Outside of the clinic, Chris’s interests are her animals, shark and ocean conservation, and Miksang-Comtemplative photography. Diane earned her Doctorate of Physical Therapy from Texas State University in San Marcos, and has completed post graduate certifications in Manual Therapy and Dry Needling. She has worked in outpatient clinics specializing in the treatment of orthopedic injuries and neurologic disorders, and also has experience within the hospital setting. Before becoming a PT, Diane was an engineer for 14 years having earned a BS in Materials Engineering from the Massachusetts Institute of Technology and a MS in Biomedical Engineering from the University of Texas at Austin. Diane is a Coast Guard dependent having grown up along the coast of the USA including Alabama, Alaska, California, Florida, and Hawaii. She is married with a son and a dog, George. Diane is a Master (sixth degree black belt) in Mu Sool Won with more than 20 years’ experience. Manny earned his Doctorate of Physical Therapy degree at University of St. Augustine for Health Sciences in St. Augustine, FL in 2012. He has over 6 years of clinical experience treating patients with various orthopedic, neurological and balance problems. He has completed specialized training in vestibular rehabilitation for inner ear dysfunction and Graston Technique, which is a type of soft tissue treatment. In his free time, he enjoys eating, working out, and spending time with family and friends, as well as supporting the Dallas Cowboys. Jason has more than 18 years of experience in the field of Physical Therapy. After earning his bachelor’s degree from the University of Texas at Austin and initially working as a personal trainer, he began his time in physical therapy as a rehab tech working with both orthopedic and neurological patients. This experience lead him to pursue an advanced degree and he ultimately graduated from Texas State University in 2004 with a Master’s degree in physical therapy, attaining his license to practice a short time after. Since graduation, he has worked at several outpatient clinics in Central Texas, as well as spending time in the Washington, D.C. area, specializing in general orthopedics. In 2007, he earned a certification in mechanical diagnosis and therapy (MDT) through the McKenzie Institute. In 2014 he became a fellow of the American Academy of Orthopedic Manual Physical Therapy after completing the Manual Therapy Institute's fellowship program (FAAOMPT). Most recently, he earned a certification as an orthopedic specialist through the APTA (OCS). While he has experience treating patients with various orthopedic problems throughout the body, he considers treatment of spinal conditions to be his specialty and favorite. Outside of work, he enjoys spending time with family and friends, exercise, music, cooking, and being outdoors camping, fly fishing, and hiking. Julia received her Doctorate in Physical Therapy from Texas State University and is currently working on completing her Fellowship training in Orthopedic Manual Therapy through The Manual Therapy Institute. Nicole “Nick” graduated from the University of North Texas in 2010 with a BA in History. Following this, Nicole attained Running Coaching and Personal Training Certifications from the RRCA, NASM, and NCCPT. She moved to Austin in 2011 and worked as a Personal Trainer until returning to school for her Doctorate in Physical Therapy. Nicole is currently working on her specialty in Orthopedics and Fellowship training in Manual Therapy. 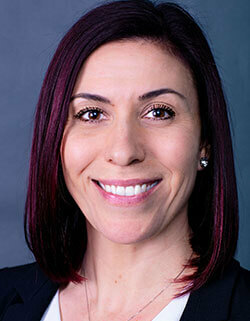 Nicole enjoys treating all variety of patients including pre and post-surgical conditions, overuse and sports injuries. 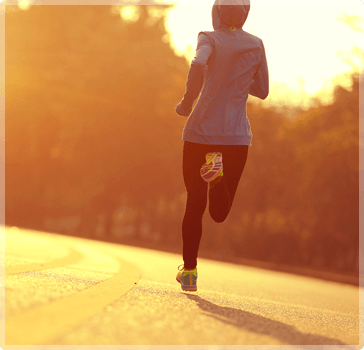 As a former personal trainer and running coach, she particularly enjoys helping her patients transition back in to the gym and/or their sports and recreational activities. In her free time Nicole enjoys weightlifting, running, fire dancing, and martial arts, as well as painting and drawing. 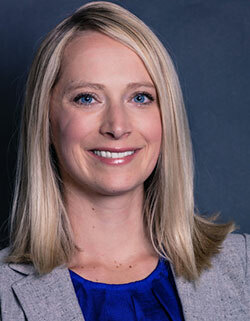 Stephanie has over 17 years of experience as an Orthopedic Physical Therapist in the Austin Area. She obtained her Master’s Degree from Old Dominion University in Norfolk, VA in 1999, and a BS in Biology from the College of Charleston, SC. She is also a Navy/Desert Storm Veteran who worked in the aviation community. Originally from Chicago, Illinois, Stephan spent the first chapter of his post-college life working in the fields of portfolio management and investment banking. Eventually, his professional interests and career path changed, and Stephan began to pursue a second career in the field of physical therapy. Stephan enjoys working closely with patients with orthopedic problems in the outpatient setting. His professional interests include all dysfunctions related to the shoulder, hip, knees, neck, and back, with special interest in rehabbing high school athletes back to competitive sport. Stephan's skill set includes various manual treatment techniques and certification in therapeutic dry needling. Personally, Stephan's likes include a well home-made peanut butter chocolate chip cookie, and his dislikes include people who complain about how cold it is whenever the temperature falls below 50 F (remember, he is from Chicago). Stephan moved to Austin in 2016 because, well, smoked brisket. Stephan graduated from the University of Virginia with a Bachelor of Science in Commerce, and received his Doctorate of Physical Therapy from Franklin Pierce University. George is the Endeavor Four Points Therapy Dog for over 1.5 years. He is a 12 pound Shih Tzu rescue dog that is typically found napping in his bed. He is quiet and non-intrusive however he loves patients (and their families) and is always happy to be pet and picked-up whenever love is required!